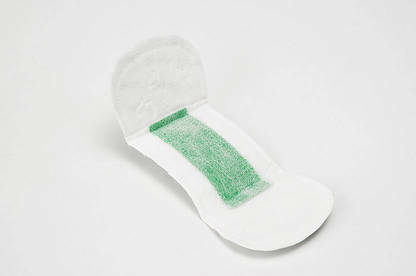 Product's ability to stop period pain untested. A trader that claimed “negative ions” in its sanitary pads stopped period pain hadn’t tested the products and doesn’t have evidence to substantiate the claim. The drion.nz website claimed the pads are “100% chemical free”, made from “organic cotton” and embedded with a “far infrared negative ion strip that balances energy”. 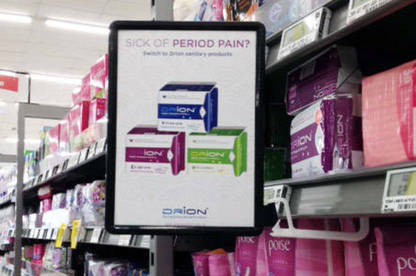 The website also claimed “if you experience cramping, bloating, PMT and painful menstrual cycles, then Drion is the product for you”. But Drion NZ, which imports the Chinese-made products from Australia, said the pads hadn’t been tested to substantiate the health claims. After we contacted it, Drion NZ removed the health claims from the site. The wording of the in-store sign is also being changed. It said the website had been approved by the Therapeutic Advertising Pre-vetting System (TAPS), a voluntary system established by the Association of New Zealand Advertisers. However, TAPS approval doesn't necessarily mean the approved representations are immune from consumer protection legislation and traders need to ensure they comply with the Fair Trading Act which prohibits unsubstantiated representations. Any trader that doesn’t have evidence to back its claims risks prosecution by the Commerce Commission. Where the court finds a breach of the Act has occurred, it can impose penalties of up to $600,000 for a company and $200,000 for an individual.